Here are a few size guides for customers to work to when creating their own artwork. We generally work to “A” sizes however we can print any size you require. 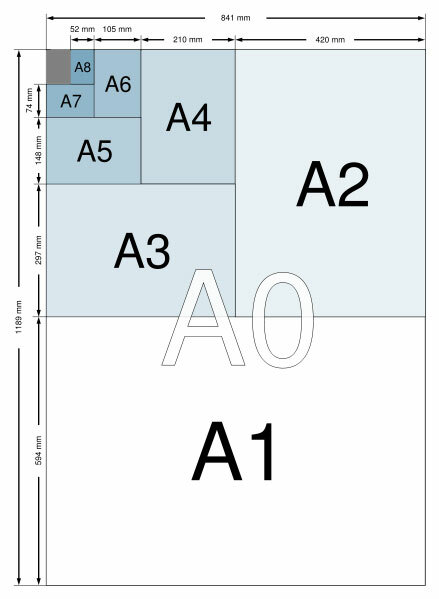 When preparing files to print we ask that you set the file at 300dpi and leave at least 3mm of bleed on the document you are creating, this will ensure that everything will be on your document once it has been trimmed to size. We prefer artwork to be saved in Adobe PDF format as this will avoid any alterations with text, layout and/or computer specific settings. We also offer free advice on how to set up documents so they are ready for print.